David Brafman, rare books curator at the Getty Research Institute, told me that physiognomy—from the ancient Greek, gnomos (character) and physis (nature), hence “the character of one’s nature”—really became popular again in 16th-century Europe, as physicians, philosophers, and scientists searched for tangible, external clues to internal temperaments. In the early 1600s, Italian scholar Giambattista della Porta, considered the father of physiognomy, was instrumental in spreading ideas about character and appearance in Europe. Della Porta came up with the idea for physiognomy through his alchemical experiments, in which he attempted to boil down and distill from substances their “tincture,” or pure essence. He made an analogy to the human essence, suggesting that one could deduce an individual’s character from empirical observation of his physical features. His widely disseminated book on the subject, De humana physiognomia, was instrumental in spreading physiognomy throughout Europe. 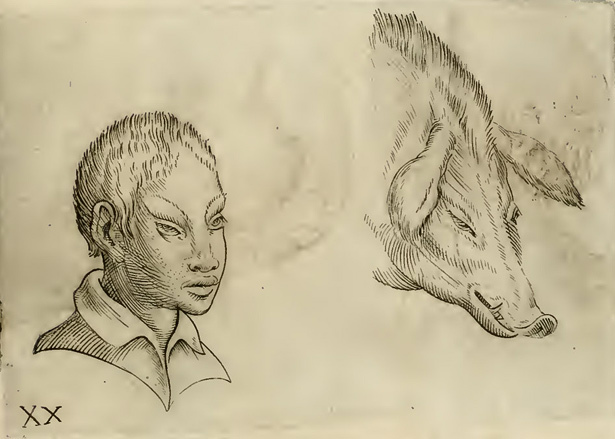 Illustrations in the book depict human and animal heads side by side, implying that people who look like particular animals have those creatures’ traits. 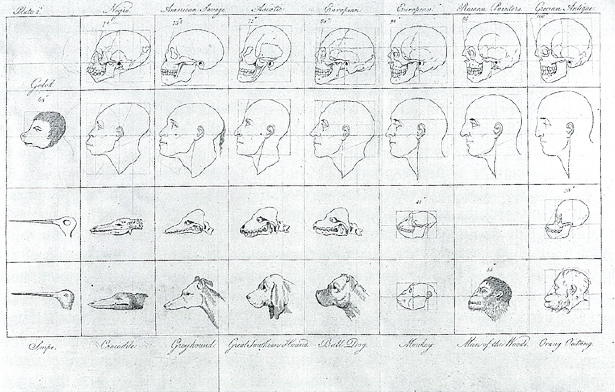 Images like these were powerful, and illustrations, sculptures, drawings, and other visual forms were key to the spread of physiognomy and its strange ideas. In the second half of the 18th century, Johann Caspar Lavater became the new king of physiognomy. He blended an examination of silhouette, the profile, portraiture, and proportions into his best-selling book, Essays on Physiognomy, which included a detailed reading of the face broken down into its major pieces, including the eyes, brows, mouth, and nose. 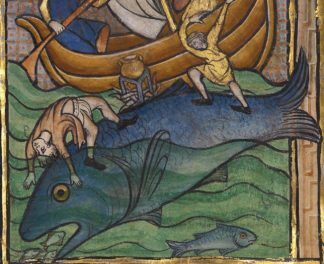 The expression “stuck-up” comes from this time, when a person with a nose bending slightly upwards was read as having a contemptuous, superior attitude. 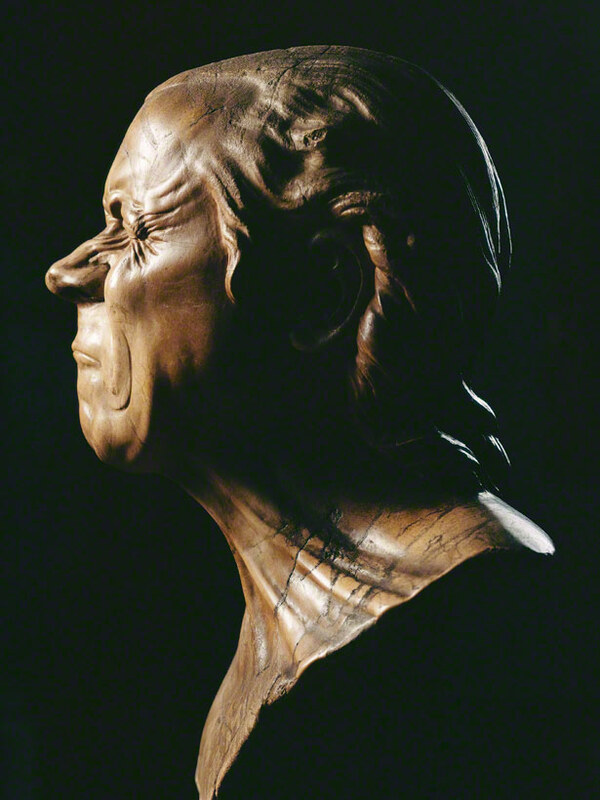 The connections between physiognomy and aesthetics were pointed in Essays on Physiognomy, as Lavater commissioned artist Johann Henrich Fuseli and poet William Blake to provide the illustrations. 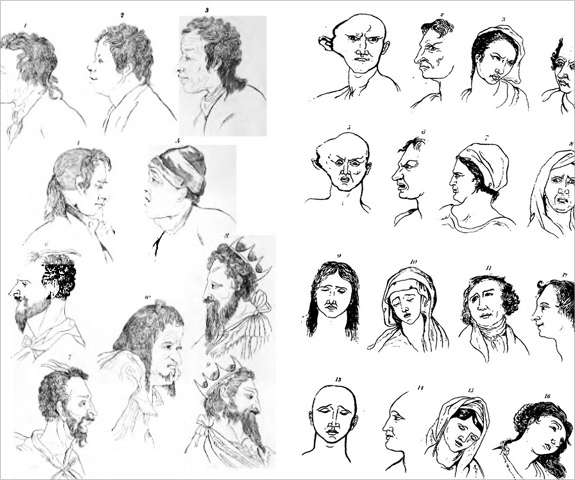 This artistic interest in physical appearance and character contributed to the development of theories of the ideal geometric proportions of the face in the late 18th century by theorists such as William Hogarth and Lord Shaftesbury. 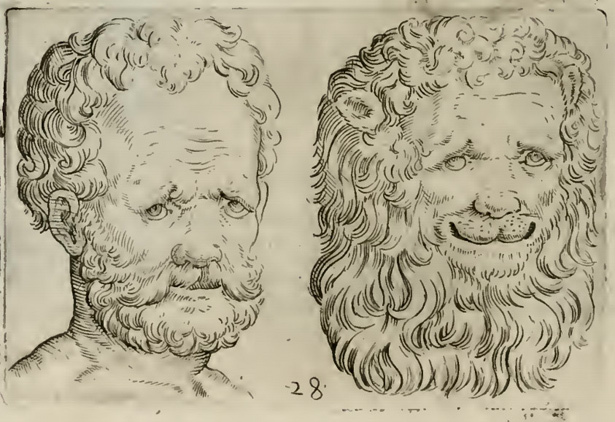 The influence of physiognomy can be seen throughout 18th- and 19th-century European art. In the 18th century in particular, natural philosophers embraced the “ideal” features found in classical sculpture, which were mistakenly thought to represent how the ancients actually looked. The assumed cultural superiority of ancient Greece became attached to these features, which were adopted by European artists and depicted again and again. “Others”—such as Asians and Africans—were less not only less beautiful, but less moral. 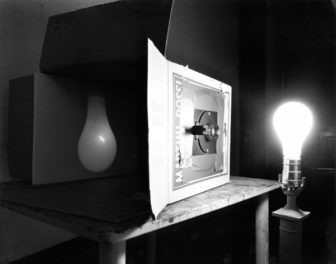 Photographer Ken Gonzales-Day examined this phenomenon in his series Profiled, an example of which is on view in Messerschmidt and Modernity. He created photographs of portrait sculptures in museum collections, both to explore the tradition of portraiture in Western art and to critique the pictorial conventions and racial profiling advanced by Lavater—who believed the profile to be the best perspective to analyze human character. Today, scholars are still studying the science of faces and how different traits, features, and expressions affect us. For example, it’s well established that faces with rounded contours attract us, because they signal childlikeness and evoke parental instincts. We even have a tendency to view “baby-faced” people as less likely to commit premeditated crimes. Unfortunately, if you’ve got an angular face, you’re probably a criminal. Physiognomy is uncomfortable, messy, and often racist, but I do understand its motivation. The urge to classify, study, and categorize people is based in the desire to understand ourselves more clearly. 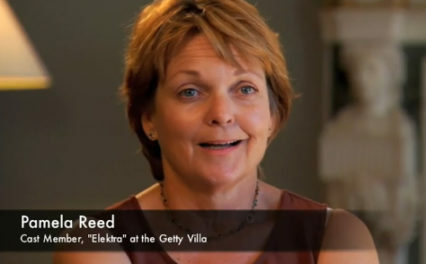 But for every ideal form, there’s an “other” who also wants to explore herself on her own terms, without being profiled. Fascinating. Are Ken’s works available ? Physiognomy is not a pseudosciense. There is a strong correlation between attractiveness and intelligence. Because what is “attractiveness” — it is simply an aesthetic judgment of the fitness of the Race. The outward reflects the mental capacity in the majority of cases. If we do not quantify the values that we desire as a society and work to ensure the propagation of them, through our now aesthetically ignorant brainwashing those special genetic specimens will be bred out of existence.